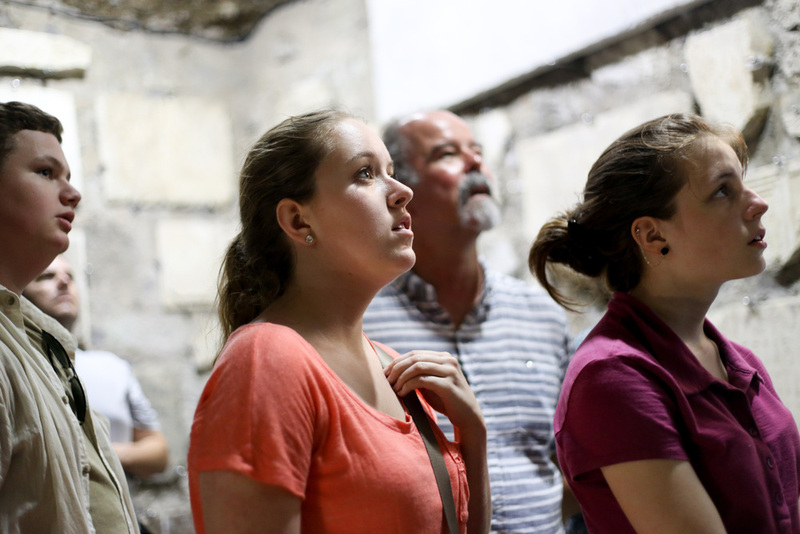 The studio for art, faith & history hosts seminars and study tours, exhibitions and performances, and supports new work in the visual and performing arts. This website gathers essays by the artists and writers and scholars who have participated in the programs of Gordon College in Orvieto, and which reflect the themes of the Studio for Art, Faith & History. 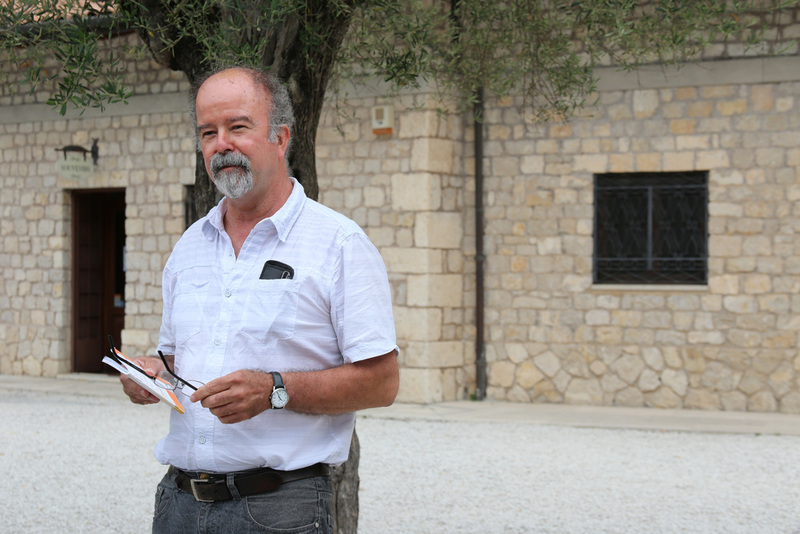 Art creates another significant link between Gordon College’s part of the globe and the Servite monastery in Orvieto. In a lush eclectic gallery of the Isabella Stuart Gardner Museum in Boston hangs a five-panel polyptych of the Virgin and Saints—a piece from the church of the Servi in Orvieto. We gathered in the central courtyard around a makeshift table … family members and friends, young and old, locals and Italians from other regions, Italians and Americans, some living there permanently and some just visiting, came together to break bread and share wine together. A number of months after we started attending St Cuthbert's, the music director approached me and said, "You write poetry. Do you want to write a poem for Pentecost?" My reply was an immediate, "Not a chance. I am not a religious poet." On March 17, 1541, a noblewoman of a certain age in widow’s weeds appeared before the door of the Convent of San Paolo in Orvieto, seeking refuge. According to Jacob Burckhardt, she was “the most famous woman” of sixteenth-century Italy. Vittoria Colonna found in evangelismo a new outlet for her poetry, well suited to her own religious and lyric sensibilities. Italy is dotted with monasteries of obscure identity, old purposes being forsaken, antiquity and cultural value arguing for their preservation. What should be done with an old hulk of a building, often vast and sturdily built, graced with art or good views or fine acoustics? Later on the bus back home, it came to me: we live in a great plain from which history has been abolished. History, story, stories – everything whose existence is manifested through the progressive alterations of time. Nothing around us recalls the past, nothing constructs the future. 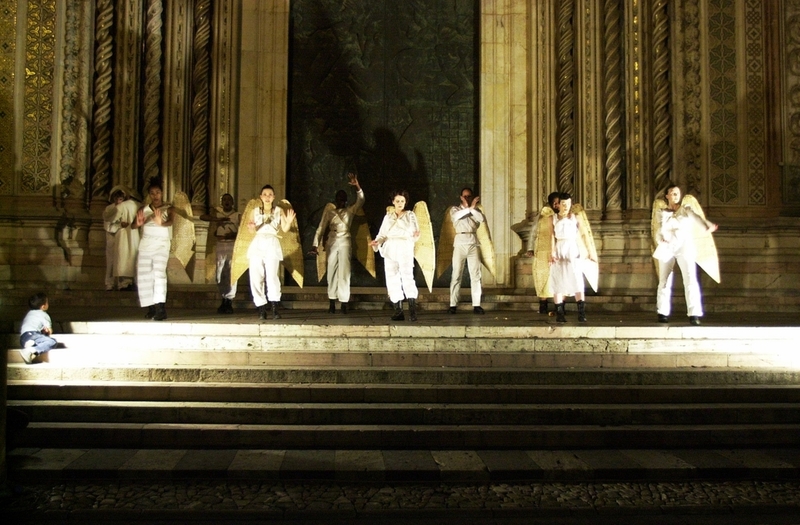 Creation and Fall on the steps of the Duomo, from Strangers & Other Angels, June 2006, directed by Karin Coonrod (Photo credit to Massimo Achilli). Stephen Salters singing the title role of Claudio Monteverdi’s Orfeo, directed by Karin Coonrod and Gina Leishman, performed in the courtyard of Palazzo Simoncelli, June 2014, (Photo credit to Andrea Messana). Society for Classical Learning seminar for high school students, deciphering the Latin on tomb inscriptions in the catacombs of Santa Cristina, Bolsena, 2015, (Photo credit to Gianna Scavo).